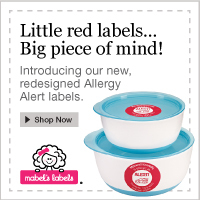 Award-winning Mabel's Labels is the leading provider of personalized labels for kids and adults. Our custom labels include sticky labels for clothing, personalized stickers for tweens, school labels, name labels, iron-on clothing labels/name tags, book plates, label stickers/adhesive labels for the home, and children's labels for look-alike items sent to school, daycare or camp. Many parents dread the thought of the next fundraiser around the corner...whether it's selling candy bars, wrapping paper, or raffle tickets! Well, how about a fundraiser that requires less work on your part, but involves great products that can be beneficial to every family?! Enter Mabel's Labels.